The order has been shipped from our Missouri warehouse. Usually if the tracking number states "Billing Information Received", the UPS label has been wrinkled or scratched, preventing UPS from being able to scan the item. When this happens we are not able to view the progress of the package, but they are still manually sorting and shipping the package. Please contact us by email or call 800-298-8924 (Monday-Friday 7am-8pm, Saturday 9am-5pm and Sunday 12pm-6pm Central Time) and we would be happy to tell you when you can expect delivery. For shipments originating from the US into Canada, the quoted shipping costs does not include all brokerage fees and duties. Taxes are not included. All prices on our site are in US Funds. Your credit card company will convert the US charge to Canadian. Step A: Simply click next to the item you want to purchase. 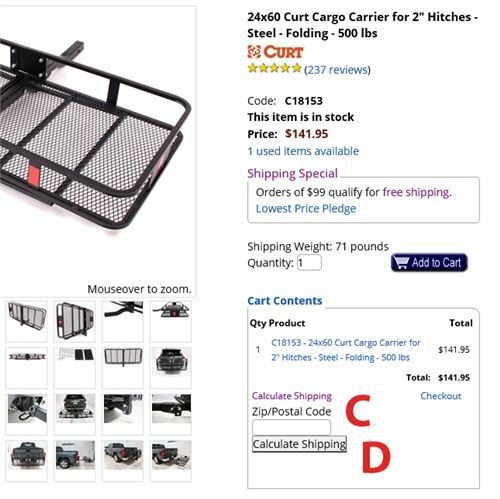 Step B: Once the item is in the cart you will be able to check the cost of shipping by clicking on Calculate Shipping. Step C: Enter the zip or postal code of the shipping address. 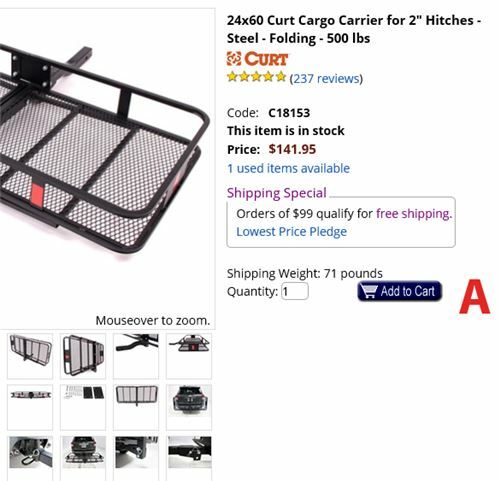 Step D: Click on the Calculate Shipping button to view your shipping options. After clicking Calculate Shipping, all of the shipping options that are available to you will be displayed. You can also see the shipping options by clicking on the cart in the top right hand corner of the screen. 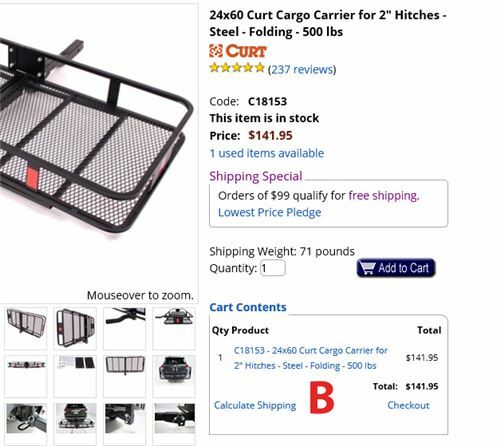 Clicking on the cart will take you to the checkout page where you can view details of your cart's contents and calculate shipping charges.